It is June of 1968. I am on my way to the Air Force Academy in Colorado after having just graduated from high school in Inglewood, California. Not long after my arrival I am verbally assaulted by 19-21 year olds, who besides getting mad at me for one unshaved whisker, repeatedly let me know that their indoctrination was much harder than mine. Most of us who grew in the 50s-60s had already been used to hearing that kind of rhetoric from the cultural of our parents who grew up in the Great Depression. They prided themselves in telling us how soft and undisciplined we were and how much more discipline they had because they didn’t have TV or other things like that. Now that I am a grandparent I find that I often hear parents complaining about how soft their kids are because they play so many video games and have it so easy. What my parents generation didn’t know about us growing up in the U.S. in the 60s was that we all had this huge cloud of fear hanging over our heads all the time of the threat of nuclear annihilation. I can distinctly remember, as a 12 year old, having the thought that our whole society was probably going to be blown up. My parent’s generation had lived through a huge depression where they faced a lot of hunger, and then a huge war where lots of people gave their lives. I can honor the sacrifices and difficulties that they endured, but I can never remember even one time where that generation honored my generation for the constant fear of instant annihilation that we faced. The words we heard were lazy and soft. It is not surprising that the same thing is happening to the current generation. Parents and teachers still have the same complaint that the teachers and parents of my generation had, that this generation is undisciplined and soft. It is difficult to see the tests and difficulties of a child’s life growing up in a world with so much instability and chaos. What we see when we turn on the evening news and what a child sees are two completely different realities. The children carry all of the fears and anxieties that the parents have only much more magnified. Whatever we fear, our children fear more. Parents and teachers judge their students quite readily for not having self-discipline, but I think that their perception is wrong. What they should see is that the retreat into endless hours of TV and video games is about fear and not the lack of self discipline. The Cold War and Vietnam made me grow up fearful of dying young. It hung over us and was always present, but no one ever acknowledged, or attempted to acknowledge my fear. The cultural message was that we were soft and undisciplined. I have grown suspicious of the use of self discipline because the true meaning of self discipline is the ability to have a noble purpose and then to make efforts and sacrifices in order to reach it. 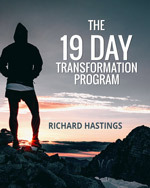 Whenever someone uses self discipline as an accusation, I begin to ask myself what they are fearful of. What noble purpose are they fearful of pursuing, what have they given up on, and what is it inside of them that yearns to come out? If parents can learn to acknowledge their own fears, and then to realize that their children’s fears are a magnification of their own, then all of the judgment can be replaced with honoring the challenges that we all face and deal with daily. I think we should have a period of silence about the idea of self-discipline until we learn to acknowledge the pressures and fears that we are all under. Let’s reawaken nobility of purpose before we accuse even one more person of being lazy. It is all about being able to ask the questions related to fear instead of judging someone else for not having the quality I don’t have. Richard, Debby just gave me a link to your dear daughters’ websites, and there I found a link to yours. So I read your first post, just having said the Bahá’í “long obligatory prayer”, and thinking deeply about how I need to develop more “self discipline”. Your posting provided the needed attitude adjustment. Now, the thoughts run this way: What do I fear? Why do I not allow my inherent nobility to flourish? What steps do I need to take, day by day, moment to moment, so as to better provide the right environment for those noble aspirations to bear fruit? Very poignant Richard. When we look at it that way, the very act of saying (as a parent anyway) “my child’s soft, lazy, needs to develop self discipline” (or even saying it directly to them), we are in fact saying that to ourselves. Because rather than taking the time and effort to address our child’s fears and questions of nobility and purpose (which means also addressing our own), we instead avoid it, by seeing those negative attributes elsewhere, placing them on someone else so they no longer seem to be connected with us. The funny thing is, our kids learn and soak up everything from us, including our baggage. So we end up spending immense amounts of time, energy, money, racking our brains, unable to see any change in our kids, thinking we’re making the effort, but they have just chosen to shut us out. When in actual fact, they are just doing (even if it’s unconscious) what we are doing, which is avoiding going to the source of it all and unwilling to make the effort to change. It is when we take those steps to make those changes in ourselves, that we then give permission, courage and an example to our children to do the same. thanks, what a great post!!! Ah, yes. I do believe you’re writing this one for me. I’ve been talking about self-discipline and self-control a lot. But I need to get to the root cause of what I am fearful of. Very helpful advice. Thank you! Exciting New Ebooks Available Now! 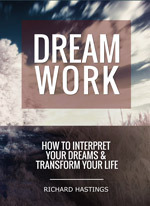 Dreamwork: How to Interpret Your Dreams and Transform Your Life. All rights reserved ©2008-2016 Richard Hastings.